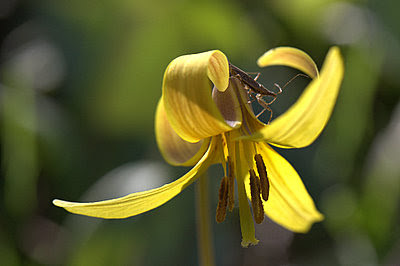 I was setting up to take this shot of a yellow trout lily, Erythronium americanum, when I noticed this tiny little insect lurking at the top of the flower. It was quite patient and let me take several shots at various angles before flying away. Here along the Olentangy, the white trout lilies outnumber the yellow species by 100 to 1. Albidum seems to prefer sandy soils along rivers and streams, so check in those habitats if you haven't seen the white trout lily. And as far as this insect goes, I think Bugguide.net may be quite helpful. I will post the photo and see what others are able to do with it. Tom, tried a few times but for some reason couldn't get the pictures to load! Will check back later to see if it was my computer or not! Hmm...yes Tom...there seems to be a problem! The images showed up last night. I'll look into it. Thank you! Tom: Cool picture of the flower and nice close-up of the bug. 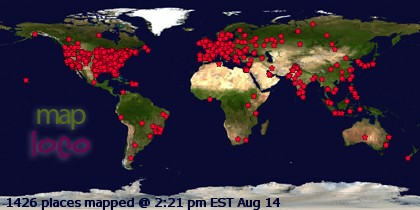 Oops, that link didn't go live. Here. Both photos are nice... That second one is spectacular! Nice find. Beautiful flower & an interesting bug. I think I've seen it in one of my many field guides, but I'm not sure which one right now. Ironically, I took a picture of a mystery bug myself last night. Dave- Yeah, I've seen wheel bugs before, and it does kinda remind me of a mini-version of that. Thank you! Jennifer- Thank you very much. Lana- Thank you, I'll look forward to seeing your bug picture as well! Robin- I can't tell you how many times this season that insects have just dropped in on flowers that I have been photographing. They really are very cool creatures. 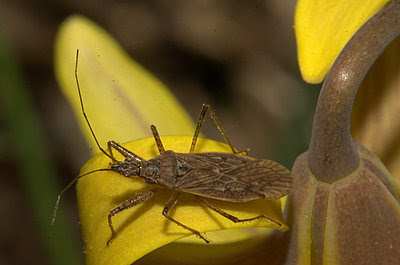 I took a photo of something similar to this bug recently and a reader identified it as a Western Conifer Seed bug. I suspect this isn't the same bug but they're likely related. I like the lily....you can keep its friend.